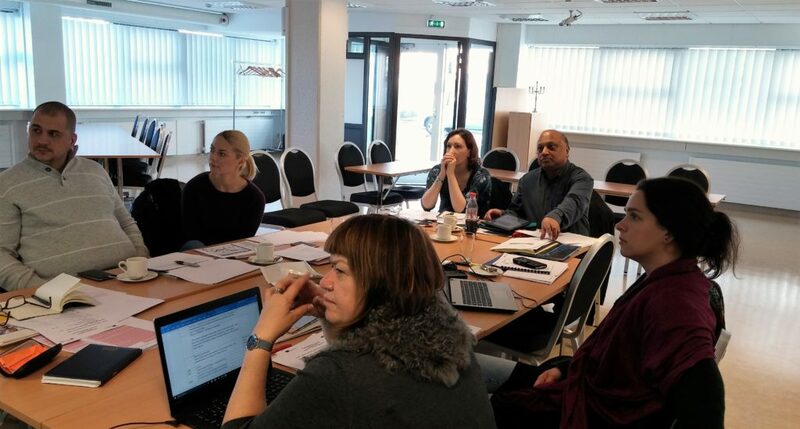 The first project meeting was held in Reykjavík, Iceland in October 2017. Most of the partners had already worked together before and so we could more or less dive straight to work. 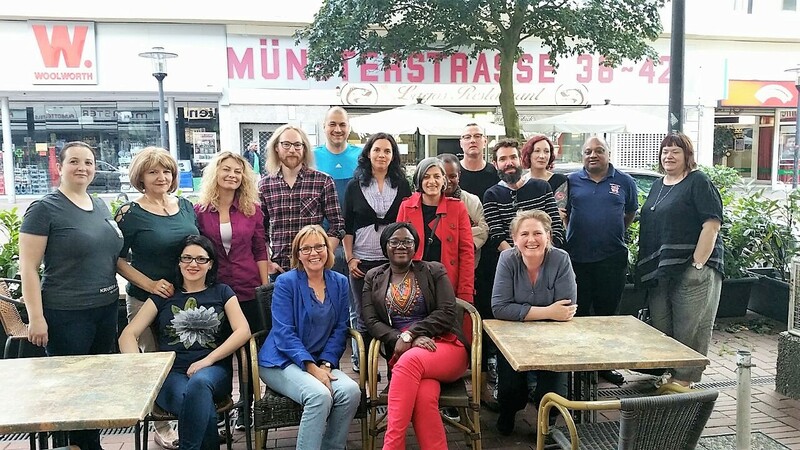 The first project meeting was held in Reykjavík, Iceland in October 2017. Most of the partners had already worked together before and so we could more or less dive straight in to work. On this first meeting we agreed on project organization and distributed responsivities. 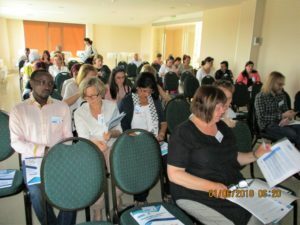 As all partners have experience of giving anti-discrimination or anti-racism training, we used the opportunity to share our knowledge and experiences in the field of training. 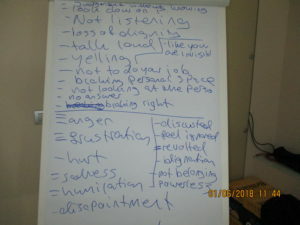 We also started discussions about what kind of support material would be most useful for a trainer when facing situations where the participants are obliged to join the training and may be resistant to the experience. 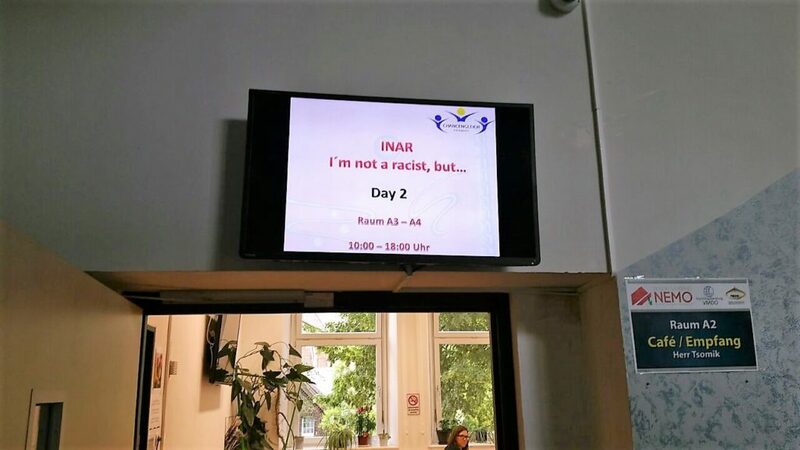 On 12th – 14th of June we had our 2nd INAR meeting, organized by Chancengleich in Europa e.v. in Dortmund, Germany. This time it was not just a meeting but we also had our trial course module with expert trainers attending from the partner organization for feedback and evaluation. The course was filmed by a professional filmmaker, Ross Bull and will of course be published here when its ready. 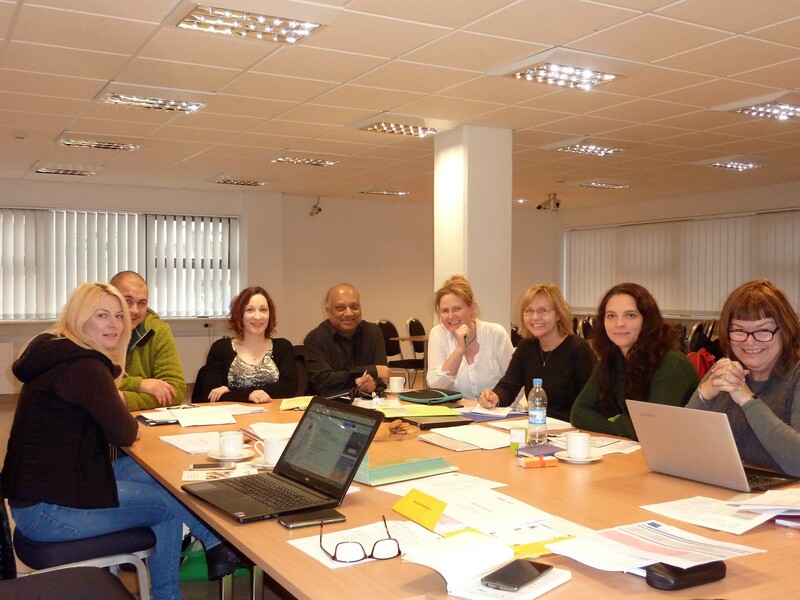 We are very thankful to the expert trainers for their input and feedback which will help us create support materials for all trainers and teachers who want to add training on everyday racism and discrimination to their training offer or just to prepare for their already existing training on the topic. After the trial module, we had another day of filming and in the end a good project meeting with discussions about the previous days and the next steps in the project. 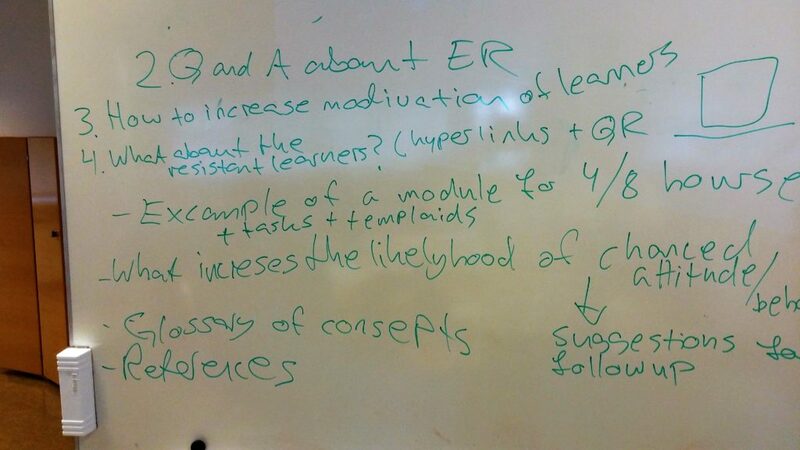 We are on good track: modules almost ready, handbook on its way and film being edited. We look forward sharing the outcomes here when its ready. The third project meeting was held in Glasgow Monday 19th and Tuesday 20th February 2018 as planned. The group went through the whole Facebook game and further editing comments were made. Now the game has been published and we see it as very useful tool before, during or after the training. You can find the link under “support material for trainers” on this website. 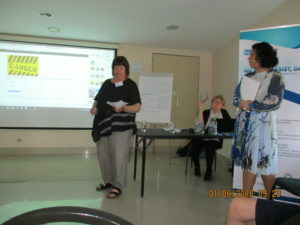 Then the handbook for trainers was discussed in details and we are very close to finishing point, not the translations have to start and even if we say so our selves; this is a great handbook for trainers. The third and maybe most consuming task during this meeting was to go through the instruction film with the filmmaker Ross Bull. The meeting went through the whole film and suggestions were made for some additional edits. 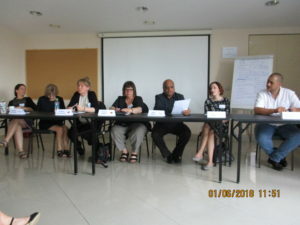 Further discussion took place on translations and subtitles. 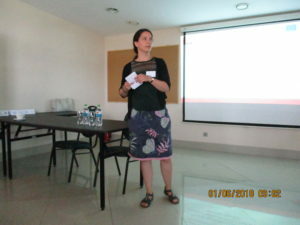 And we made plans for our dissemination conference in Bucharest in June. 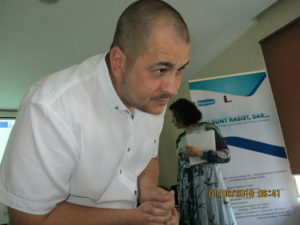 Silviu is planning everything for the event, the partners agreed on a draft agenda for the conference and all partners will invite 1-4 participants from their countries while most participants will be from Romania. All in all the meeting was very intensive work but in the end the application was checked to make sure everything is being done etc. All administration was up to date and evaluation sheets were completed. First Dissemination conference coming up! On June 1. we will be holding our first and biggest international dissemination conference. It will take place in Bucharest, Romania and you can see the agenda here. 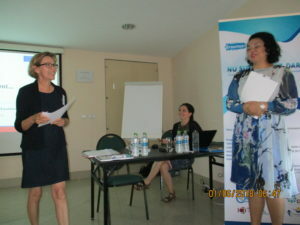 The conference in Bucharest took place on June 1st in hotel Parliament. 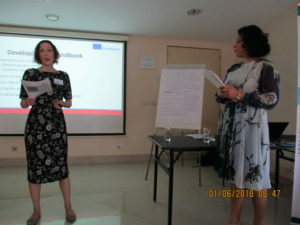 The organization from the Romanian partners – Centrul Judetean de Resurse si Asistenta Educationala Vrancea Romania was just perfect. 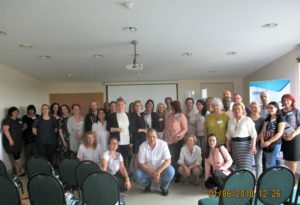 The show up was great with 60 participants, 50 from Romania and 10 from Germany, Scotland and Iceland. All the support material for teachers that has been developed during the project was introduced and the instruction film was watched. 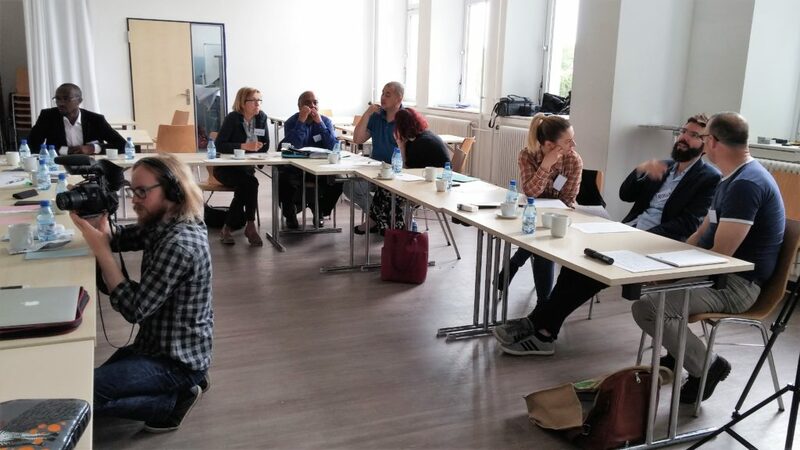 During the conference all project partners had their part to play and the participants seemed interested and took active part in the discussion. You can already see the link to the handbook under the link: support material for trainers. Below some pictures from the conference. This website is the product of the Erasmus+ project “Im not a racist, but…”. 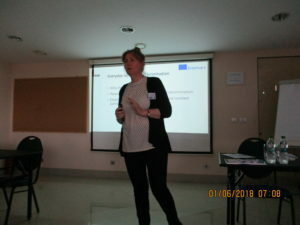 The project is a cooperation between four organizations in four European countries, Iceland, Romania, Scotland and Germany.